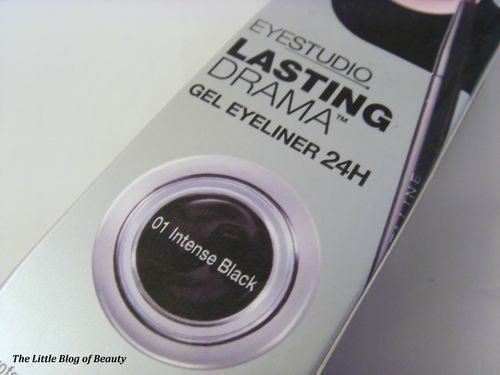 I have tried various different ways of applying eyeliner, including pencils, liquid and eyeshadow using a thin brush, but gel eyeliner was a new one for me until I received this for Christmas. As this is just £7.99 for the little pot of gel AND a brush I thought the brush may not be very good, but I was pleasantly surprised to find that actually it is a nice little brush. This has lovely soft bristles that finish in a nice neat thin line which is obviously important for a brush to be used for applying eyeliner. I was apprehensive about trying this at first because the gel in the pot is ’solid’ so I couldn’t really see this being easy to apply at all. However, when I finally decided to give this a try a couple of nights ago I found it’s actually incredibly easy to use. 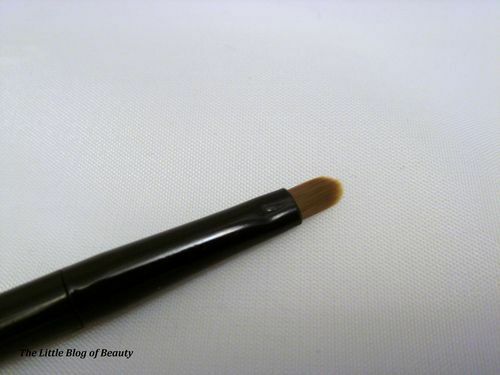 The gel is actually very soft and is not difficult to get onto the brush at all. You just dab the brush in to pick up a small amount of gel and depending how thick you want your line this may be enough to do one whole eye. 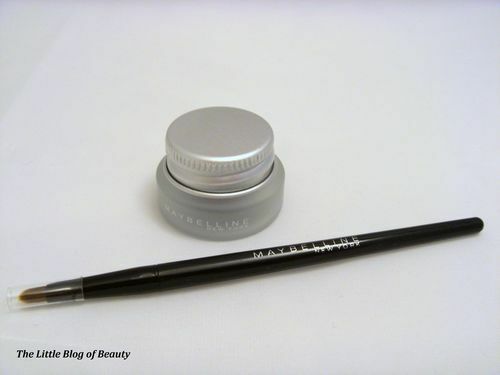 You can hold the brush so just the very edge applies the liner so you get a nice thin line or you can angle the brush slightly or build this up to get a thicker line. 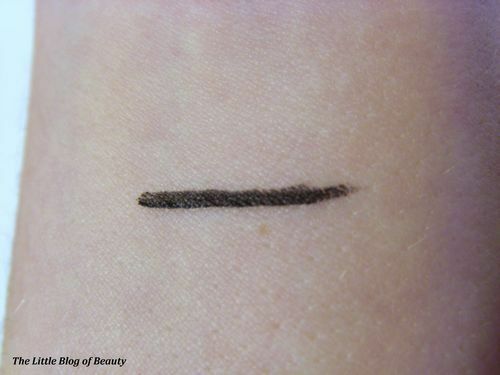 It is so easy to apply and as the name suggests it gives you an intense black line. The box claims that this will last 24 hours and although I’m not sure it would last in perfect just applied condition I can definitely see some colour lasting for up to 24 hours. I originally tested this on the back of my hand one afternoon. I left this in place and found that this lasted through a shower and the following day there was still an albeit fainter line which I then actually removed. 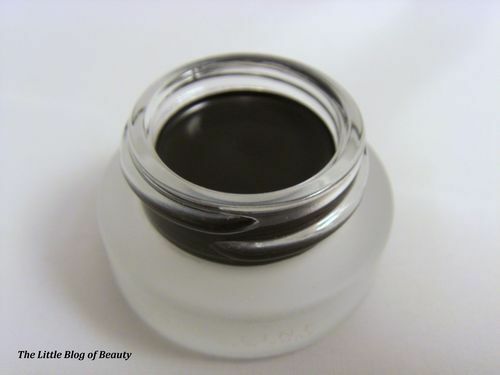 I tested this out on my eye (just one, I didn’t do both!) just before having a bath. I thought the heat/steam might result in this sliding down my face but it stayed in place. I also accidentally rubbed my eye forgetting I had this on and seeing the black on my finger throught I had probably smudged this everywhere. However when I looked in the mirror afterwards there didn’t appear to be any damage at all. 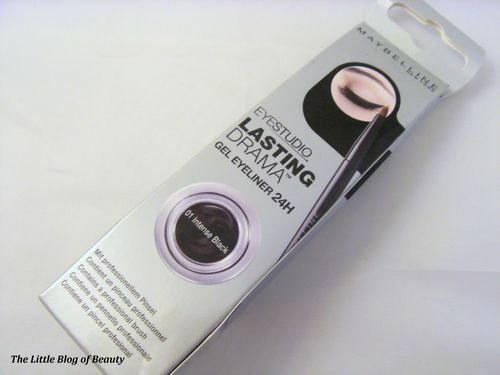 So overall I have been highly impressed with this and think this may now become my go to method of applying eyeliner. I have noticed that Maybelline are currently advertising this in some new shades and have to say I am very tempted by the purple colour.